Bus Charters can include family reunions, club outings, sightseeing tours, sporting events, business excursions, church gatherings, wedding shuttles or any other exciting opportunity to travel together with a group. At IMG, coach charters are something we do millions of times a year throughout the United States and Canada. All our owners are experts at making charters safe, secure, comfortable and unforgettable. Tour bus operators at IMG are experts at creating the best packages available. We work with hotels, airlines, cruises and rail lines around the globe to develop tour packages that offer excitement and adventure – while being easy on your budget. What's more, a package created by an IMG tour bus operator can be used by any other company in our network, so you always get the benefit of IMG resources and team work. We are also members of the Global Passenger Network, which is the first international passenger transportation organization of premium national motor coach networks or private companies which enjoy national recognition. Our network is made up of single organizations from each country which represent the best in service, standards, safety and quality. No matter where you’re traveling, you’ll find our companies responsive, creative and helpful. Find a Tour Bus Company in your area. 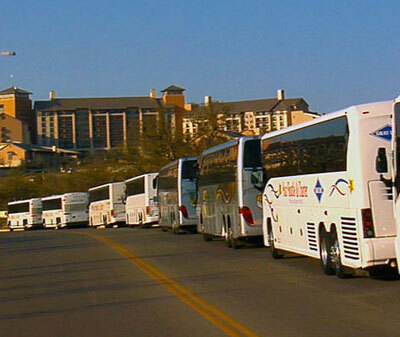 Motorcoach travel has compiled the best safety record in the United States for modes of transportation. So it’s no wonder schools and universities around the country trust IMG for transporting their students. For sports contests, club competitions, student conferences, booster club and alumni group outings, fraternity and sorority events, academic field trips, and inter-campus shuttle services, no one can match our safety record or decades of experience. It's an enormous responsibility to have the nation's young people in our care, and it's a commitment we take very seriously. Corporate travel is changing. Because of lengthy delays, shortened runs and increased security demands, American corporations are no longer depending on airlines to meet their travel needs. Today, they are relying on motorcoaches for corporate travel – and with good reason. An IMG motorcoach is designed for safety, built for comfort, and priced to make any corporate executive happy. Many of our IMG companies are developing special charter bus operations for clients to visit branch offices or attend various types of meetings. Some have even reconfigured the interiors of their motorcoaches with fewer, upgraded seats for added comfort. Other additional amenities, such as food and beverages, newscasts, and electronic hookups for phones and PC's, make for a more comfortable and productive business trip. IMG motorcoaches are also used for shuttle services on corporate campuses and for internal tours, employee programs, even airport shuttles. Whether it's a corporate sales convention, a convention of memorabilia collectors or anything in between, IMG can help it run smoothly. Of course, we take care of getting people where they need to be: airport to hotel, hotel to convention site and back again. 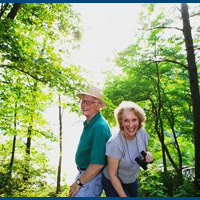 We also handle the tours and side trips that make the convention experience more enjoyable. And since our members can rely on the IMG network, they can bring in extra coaches or drivers, if needed, from fellow IMG owners in nearby cities or regions. Successful conventions depend on the proper planning so there are no surprises when the convention is underway. That's why many of our owners are actually part of the planning process, meeting with convention officials to make certain the transportation needs of conventioneers are always met. It's no wonder convention officials all over the United States and Canada depend on IMG. If your organization has to plan and implement a national schedule, we're the people to call. Your local IMG affiliate has the experience to plan an itinerary and make it happen smoothly, efficiently and affordably. If you're with an orchestra, for instance, your local IMG company can take care of the entire season's itinerary. Or if you're with a professional sports team, you can count on your local IMG company to handle your entire schedule, as well as the visiting teams' travel needs. What's more, each IMG company can tie into the IMG network whenever, and wherever, assistance is needed. If a vehicle breaks down or a replacement driver is needed, appropriate changes are made in virtually no time at all. IMG owners contract with school boards, municipalities, airport authorities, transit districts and government agencies, providing all types of transportation services, including airport shuttles, paratransit services and private sector computer services. Many have contracts with the U.S. Department of Defense, which require the utmost in planning, logistical skill and safety. In fact, most of our owners have gone through vigorous reviews in order to be certified by the Department of Defense to move troops to various domestic training sites, bases and airports. This certification is required by the Department and includes on-site audits of employees, facilities and safety standards. Over the years, IMG owners have not only built strong relationships with contracting agencies, but also kept a sincere appreciation for their local roots.